When it comes to thematic units, there are so many fun themes! This time, we created a unit study theme around cookies! Not Christmas cookies, just regular fun cookies that work for any time of year! My preschooler absolutely loved making the cookies from playdough, adding little playdough chocolate chips, then counting them. 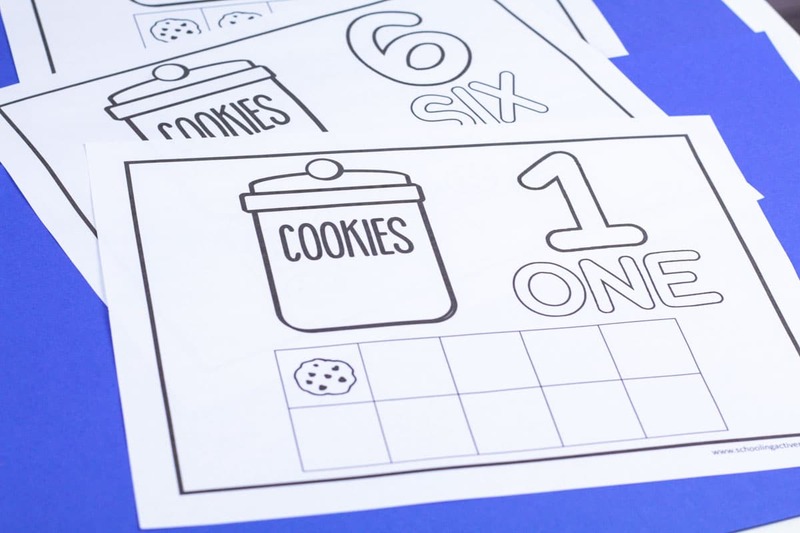 Kids can count using this cookie counting printable in multiple ways. 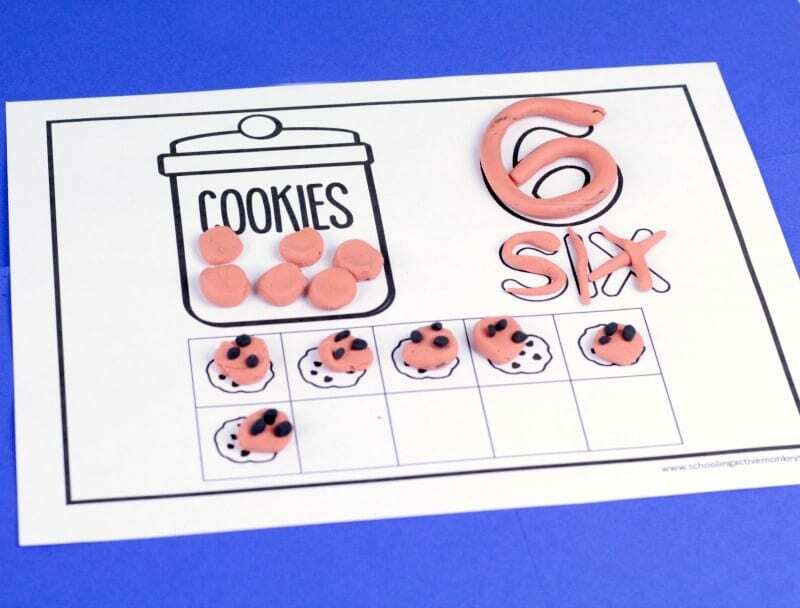 They can fill the cookie jar with teh right number of cookies, they can fill in the 10-frame with cookies, they can recreate the outline of the number, and the outline of the written number. 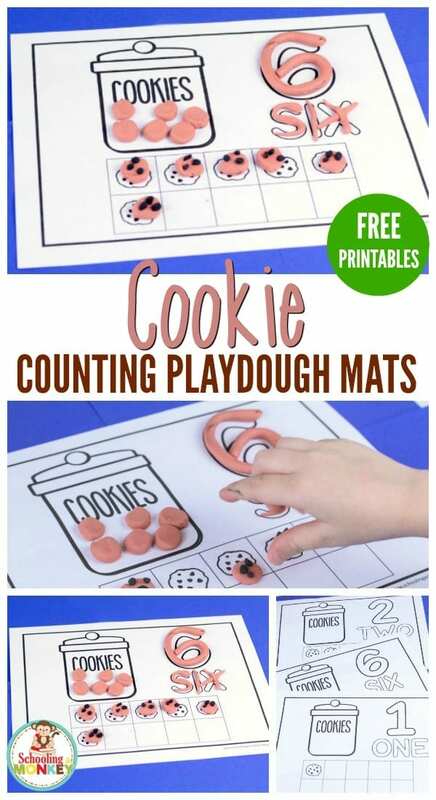 If you love cookies and are looking for fun educational cookie activities to try with preschoolers and kindergarten kiddos, these cookie counting playdough mats are the perfect activity to add to your math centers, or just to do when learning with a cookie theme! You will love how simple it is to use these cookie playdough mats! For greater durability, I suggest laminating the sheets. Get the Cookie Playdough Mats! Print the cookie pages onto regular paper. Print as many copies as you need for your students. You can print just one copy, or print one copy for every kid in your class. Laminate the sheets for greater durability. 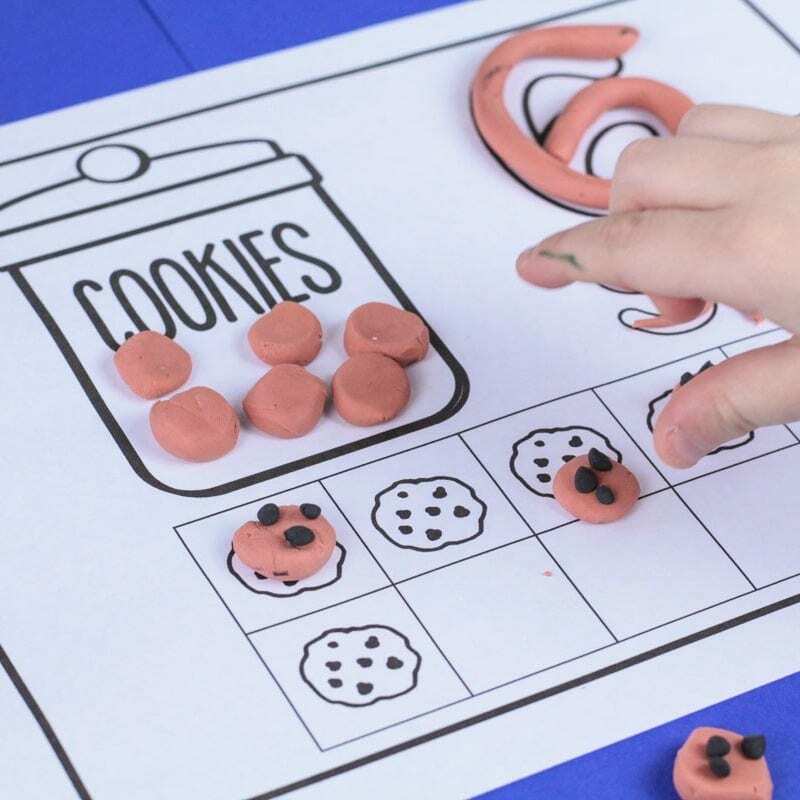 Show the kids how to make cookies from playdough, then show them how to fill out the counting sheets. 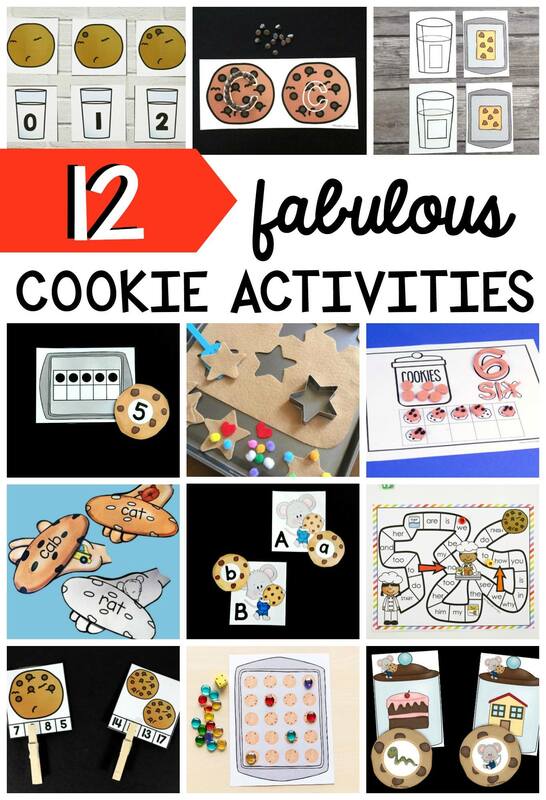 Check out more fun cookies activities below!